Banago Class Freighter: Built in 1918 by the Alabama Dry Dock and Shipbuilding Co., Mobile, AL; Launched 4 July 1918; Acquired by the Navy, 25 September 1918; Commissioned 29 September 1918; Decommissioned, 21 December 1918 and returned to the Shipping Board; Sold in 1922; Scrapped in 1924/25. Specifications: Displacement 2,551 t.; Length 268'; Beam 45' 2"; Draft 23' 6"; Speed 10 kts. ; Complement 56; Armament unknown; Propulsion two water tube boilers, one 1,400ihp triple expansion engine, one shaft. 86k Probably photographed soon after her completion on 23 September 1918. One of over 200 small wooden hulled cargo ships built for the Emergency Fleet Corporation to its standard Ferris design. 80k Probably photographed soon after her completion on 23 September 1918. One of over 200 small wooden hulled cargo ships built for the Emergency Fleet Corporation to its standard Ferris design. Banago is a tropical timber tree. 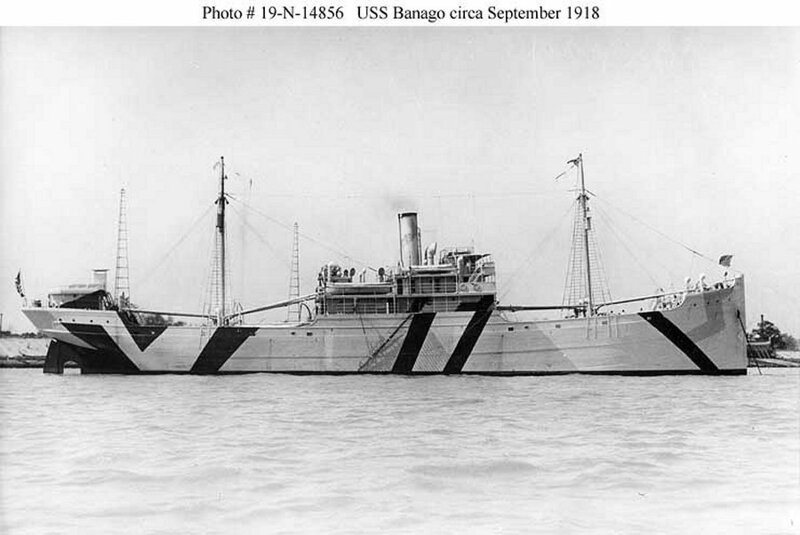 Banago was launched 4 July 1918 by Alabama Dry Dock and Shipbuilding Co., Mobile, Ala., under a Shipping Board contract; transferred to the Navy 25 September 1918; commissioned 29 September 1918, Lieutenant Commander H. R. Hansen, USNRF, in command; and reported to the Naval Overseas Transportation Service. Following extensive repairs Banago left Norfolk 5 November 1918 with a cargo of coal but returned the following day because of rudder trouble. 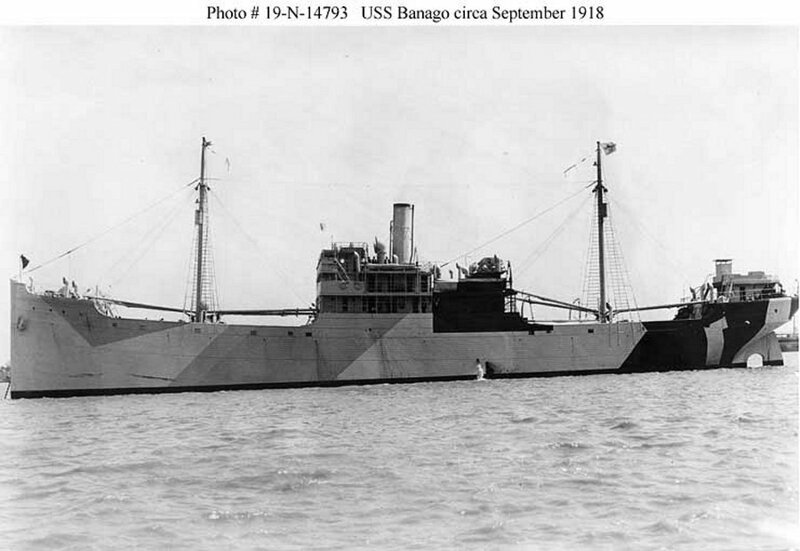 After an inspection, she discharged part of her cargo and was towed by Crenshaw to New York where, on 21 December 1918, Banago was decommissioned and returned to the Shipping Board.